Beat This Caption Contest 159 – Caption Contest Funny Clever Witty Enter Today! Are you Kidding me? 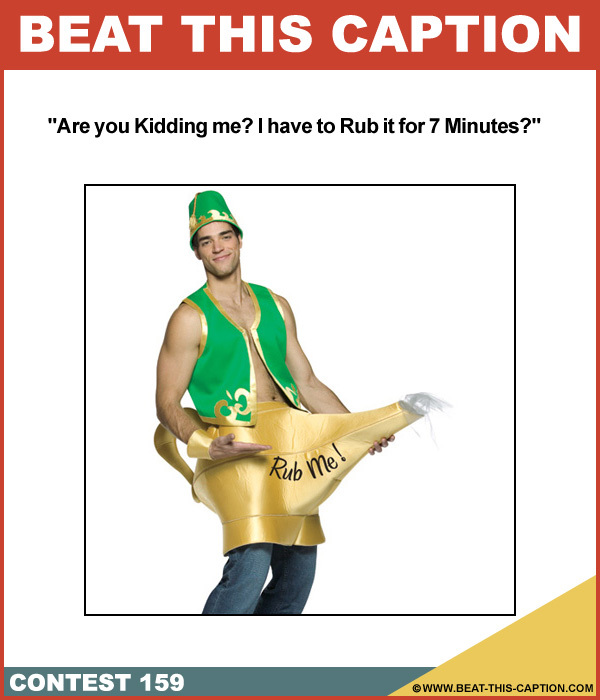 I have to Rub it for 7 Minutes? August 18th – August 24th 2013.